Our "Chew" Guard gives you the Ultimate Protection and Defends Where Cheap Dog Fencing Does Not! Unlike most cheap dog fencing, Best Friend Fence offers only the most durable and dependable products for your dogs. 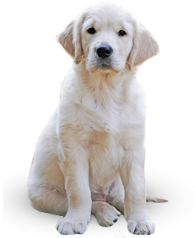 When it comes to dog fencing, the safety of your dog is our number one concern. We strive to ensure that your dog can stay safe and happy in their enclosure system. Founded in response to customers who purchased Benners Gardens Virtually Invisible deer fence and discovered that this product was highly effective for their dogs as well, the experts at Benners Gardens came up with a new line of product with the personalities of different dogs in mind. Based on the Benners Gardens unique deer fence enclosure system, Best Friend Fence uses this basic concept and then builds on it to create effective enclosure kits that will adapt to the needs of a contentious dog-owner. Unlike other cheap dog fencing products, our high quality black polypropylene fence is made from recycled materials, is UV resistant and can also be recycled. Our specialized kits are strong and durable and when you include the chew guard protection, tough for your dog to chew through. With no electricity required, Best Friend Fence products are the safe, environmentally friendly and humane way to enclose your furry friend. The main concern with cheap dog fencing is that it is hard to find quality, humane fence material at a reasonable cost. When you truly care about your dog, you want to provide them with the best quality enclosure system available and not settle for cheap dog fencing that could potentially cause major issues. Most home and pet owners look for fence products and enclosure systems that they can easily install themselves and that offer stability, functionality and durability. Owners also maintain concerns about the reliability and safety of their fence enclosure. They want to be sure that the enclosure system that they choose is safe, humane, and environmentally friendly. Electric fencing, shock or radio collars, and chain link fencing can be a hassle to install and can also pose as a threat to your dog. Other various types of cheap dog fencing such as temporary plastic barriers or wooden split rails tend not to provide the complete protection that a loving pet owner requires to completely dog-proof their yard. Thus, with not many options available on the market that live up to all of the nurturing pet owner's needs, the quest for a safe, complete, cheap dog fencing enclosure system can be a long tiring task. When you install a Best Friend Fence system, you can rest assured that you dog will be safe and protected in a secure enclosure that is unlike other cheap dog fencing products on the market. 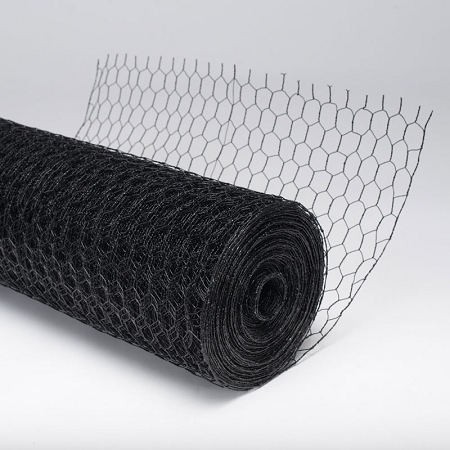 Our dog fence systems are made from high-strength, UV-treated polypropylene mesh that is strong, durable and even recyclable! Our dog fence kits are easy to install and will protect your dog without electricity or shock collars. When you install our dog fence with the added protection of a chew guard, your dog can play safely in your yard without the threat of injury or chance to escape. A dog's front teeth are pointed and intended to penetrate rather than chew through materials. However, although it is extremely difficult, a dog might find a way to get their mouth far enough into the fence grid and use their rear teeth to gnaw through the fence. Thus, it is a possibility that your dog could chew through your fence enclosure. As a preventative measure, we here at Best Friend Fence have developed a black PVC-coated, welded wire barrier to be used in conjunction with your enclosure system. Available in various heights, this Chew Guard is designed to be attached to the bottom (approx. 1'-2') part of the fence enclosure and flared inward. The Chew Guard should then be staked into the ground to prevent digging. Other cheap dog fencing products do not include a chew guard which means that rodents might be able to enter your enclosure and wreak havoc on your landscape or allow the dogs to escape the enclosure. Most customers wait to see if chewing occurs, and then order this product following Best Friend Fence installation. Don't settle for other cheap dog fencing products, Best Friend Fence has the superior product for you. We go above and beyond other cheap dog fencing products to make sure that your pet stays safe and healthy in a contained area. If you have any questions or concerns about any of our products, please make sure to contact us directly. Our chew guard will defend where other cheap dog fencing will not. Best Friend Fence Chew Guard keeps Rodents Out! Are rabbits, groundhogs, and other small animals wreaking havoc on your landscape and garden? The Rodent Barrier will provide the necessary protection against the damage of small critters. Intended to be installed along the bottom portion of your fence enclosure system, the inclusion of this Chew Guard will thoroughly protect the fence from the sharp teeth of rodents and critters and also to keep them from digging into the enclosure. It can also be easily attached to existing fences or other structures to keep rodents out! Customers have found that our unique fence systems coupled with the Chew Guard can provide superior protection against coyotes. Coyotes are notorious diggers and chewers and they have been known to eat pet food, garbage, garden crops, livestock, poultry, and attack pets. Our coyote fence enclosure system is constructed out of wire and then coated with UV treated black polypropylene. When installed in conjunction with our 7.5' high Heavy Duty fence, this barrier is highly effective in keeping coyotes out of your property. Call today and ask one of our representatives for more information regarding Best Friend Fence Coyote Protection! If you have any questions or concerns regarding any of our products and services, please don't hesitate to contact us directly.